As winter starts to disappear (at least here) I've been working on putting together my spring wardrobe. As usual, I look for bright colors, floral prints, and pieces that can easily be worked into summer as well. I've been shopping with Modcloth for as long as I can remember and I'm excited to collaborate with them by showing you my spring essentials! 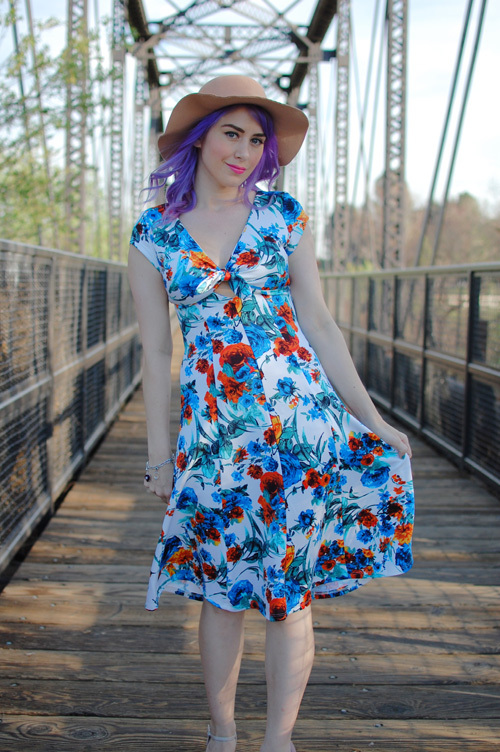 Modcloth has an endless number of spring essentials for any particular style, in any size, and in all price points. I especially appreciate their selection of vintage inspired goodies, which I feel can be incredibly difficult to find in brick and mortar shops where I live. This dress is so light and comfortable. I was initially drawn to the hey hole feature in the front. It also has built in support cups so you don't have to worry about your undergarments peeking through. 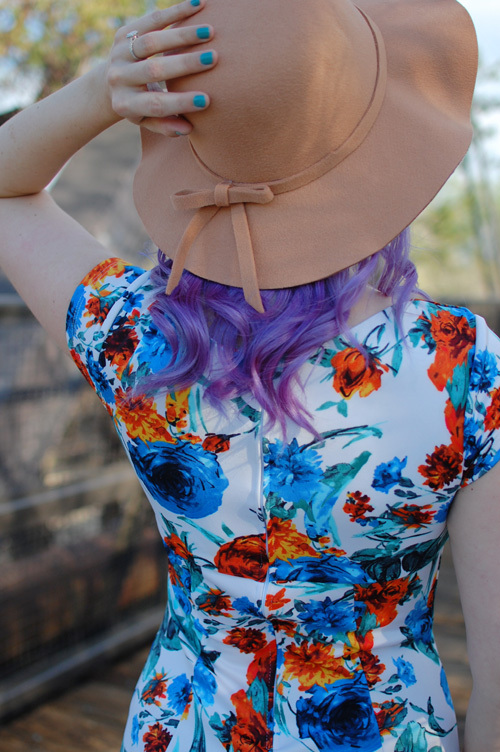 Since I'm naturally pretty pale, I like to wear a hat when I spend time in the sun. This outfit is perfect for brunching with friends, walking my dogs, or catching a concert in the park with Kevin. If you'd like to shop this outfit, check out the widget below! What are you looking forward to wearing this spring? Is there anything your your Modcloth wish list for the upcoming season? Let me know in the comments!